Invite tutors to log sessions and create session reports. 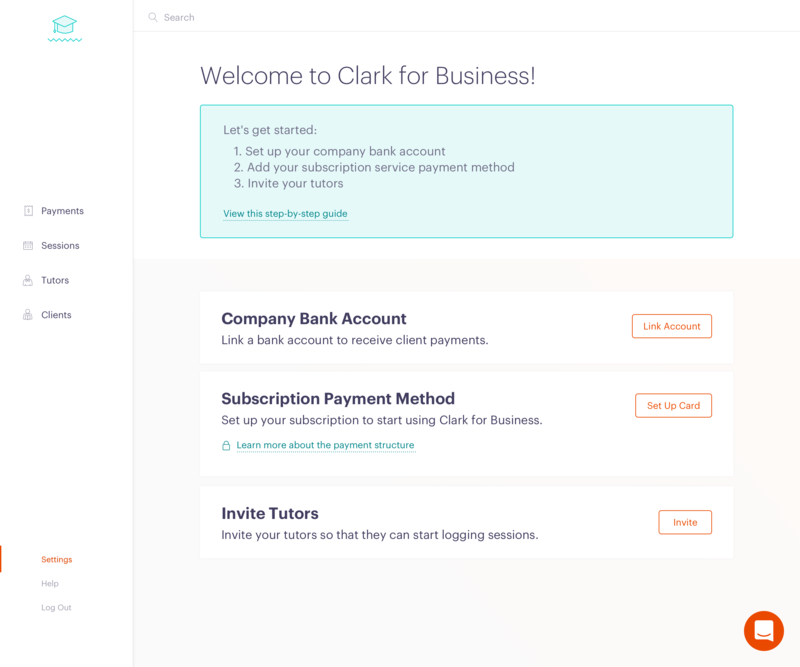 When you send an invitation to one of your associate tutors, you're giving them permission to join the Clark platform, log sessions, and complete session reports. To get started, click 'Invite' from Settings. If you had your data imported by Clark prior to log in, you'll see a full list of your tutors and their credentials. You don't have to invite all of your tutors at once - but you can if you wish! 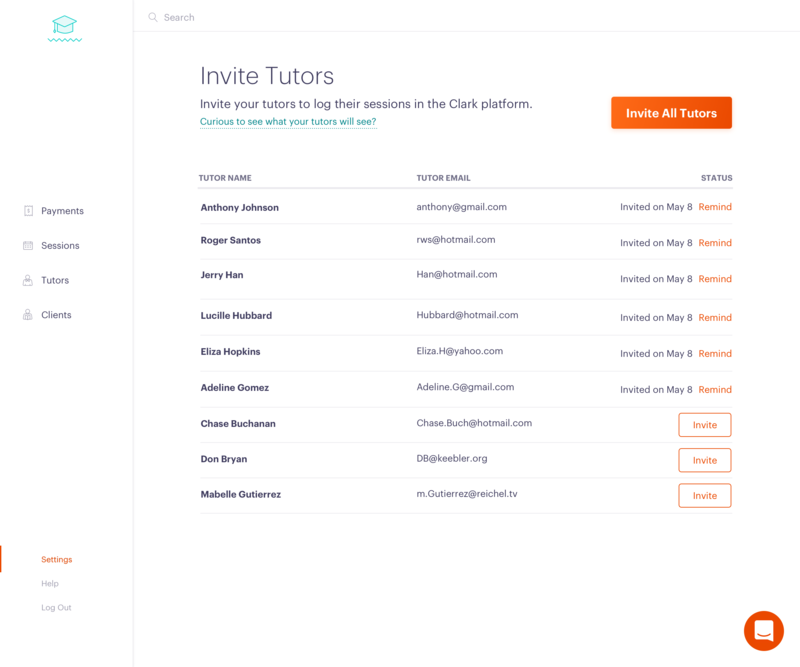 Simply click 'Invite All Tutors' in the upper right hand corner. If you invite a tutor and they need a little nudge to complete sign-up, you can always send a friendly reminder via email with the 'Remind' button. 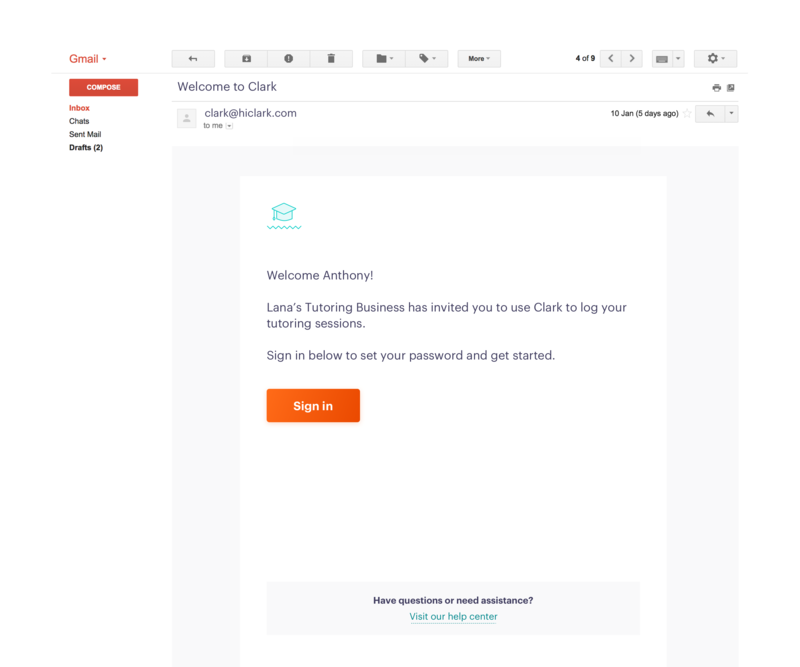 When you do invite tutors, they'll get an email letting them know you've invited them to use Clark. Once your tutor signs in and creates a password, they will be allowed to log sessions, create session reports, and add internal notes. *Note: Session reports are sent to parents/guardians automatically — meaning once they're submitted, they cannot be edited. Internal notes can only be viewed by you. And if they're not ready to add any session details, they can skip this step and add it later! You can learn more about what your client will see here.